China progresses, or simply moves forward? I have written a great deal in recent months about China, most recently on a disturbing experiment in mass social control in the province of Xinjiang by the ruling Communist Party. Technology is driving change at an unprecedented rate: now we learn that WeChat, the instant messaging system created by Tencent, is set to become the country’s official electronic identification method, to be used for absolutely everything from paying bills, goods and services, renting vehicles, locating people near to you, recharging your smartphone, ordering food, requesting an appointment with your doctor, applying for a visa, consulting government records and a very long list of etceteras. 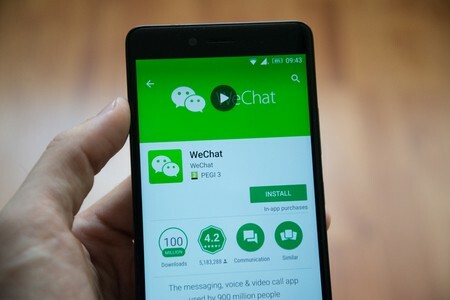 Anybody who travels regularly to China or is in contact with people there will be aware of the growing adoption of WeChat by the authorities: all activity on it is completely monitored by the government, and any number of people have been arrested and imprisoned from expressing their opinions on it. Now, by increasing its role further, WeChat is the tool par excellence for controlling the population: because it is so closely monitored, the authorities now plan to rate people’s trustworthiness through a sinister social credit system. The use of WeChat for such purposes is justified, for example as a way reducing fraud on the internet by reinforcing identity systems with its own facial recognition technology, but few have any doubts as to its real purpose in suffocating dissent. At the same time, the so-called 50Cent army, the vast legion of censors employed by the government to identify possible dissidents in chat rooms and forums, has been progressively replaced by people who no longer need to be paid: there are now hordes of young nationalists prepared to do the job free of charge, an army infinitely more dangerous than one made up of mercenaries. An army of highly indoctrinated trolls willing to do whatever it takes to preserve the honor of their country and its leaders, a true national guard of the internet. Several of my Chinese students or acquaintances have told me about this change, and how Chinese youth, born and raised in a regime that imposes severe control on opinions and thinking, have become advocates of censorship: since the government banned VPNs, its biggest problem has not been preventing access to content on democracy or fundamental rights, about which most young people do not have the slightest curiosity or interest, but complaints they can no longer read about their pop and movie idols in the West. All this in a country that in addition to inexorably moving toward control of the technologies of the future, is dedicated to building the future on its own, shamelessly copying and versioning any ideas from outside the country that seem interesting, while preventing foreign competition access to its market so as to provide a solid base for the companies under its control, leaving China to conquer the world. Sure, BAT (Baidu, Alibaba and Tencent, the three leading companies on the Chinese Internet), are still less known than GAFA (Google, Apple, Facebook and Amazon), but may well be otherwise one day. China has no interest in establishing a democracy, and nor its seems do most of its citizens, instead it is building a thriving economy that denies people rights we in the West consider fundamental. There is much to be worried about by China’s steady rise to world leadership, at least if we are minimally interested in democracy or human rights; and given the pace of change, all the more so.